As a daughter of Cuban exiles and a cancer survivor, Aileen Ugalde has never been one to sweat the small stuff. Instead, Ugalde chooses to serve educational champions “trying to do the right thing” as vice president, general counsel, and secretary to the Board of Trustees at the University of Miami in Coral Gables, Florida. Comfortable in her groundbreaking role as the university’s first woman general counsel and first Hispanic general counsel, she discusses why the stimulating campus is a perfect fit. “The enthusiasm on a campus is stimulating. You cannot help but be enriched when you are surrounded by people whose business it is to be curious,” says Aileen Ugalde of her current role with the University of Miami in Coral Gables, FL. Because my parents are Cuban exiles, there was a premium placed on education in our home. Both of my parents were teenagers when they escaped the island shortly after Castro took over. Their world changed violently overnight. My father fought in the Bay of Pigs and was imprisoned in Cuba for his role. He returned to Miami and, like most Cuban-Americans of that generation, our family spent many of those early years of exile dreaming of a return. That shaped my childhood with a melancholy for a place that no longer exists. To have everything taken away from you in one fell swoop places an almost exaggerated sense of importance on education and the kinds of things that cannot ever be taken away. Early on, I knew I wanted to be a lawyer. My mother told me stories all my life. She loved Shakespeare and The Merchant of Venice was her favorite. So, naturally, I wanted to be Portia [who in the play disguises herself as a man to assume the role of a lawyer’s apprentice]. I started out in private practice working in the litigation department of a terrific Florida firm, Akerman, Senterfitt, & Eidson. This was the time of the Clarence Thomas-Anita Hill scandal and there was an increase in sexual harassment and other workplace claims. Some years later, I received an offer from the University of Miami to handle their employment claims in-house. There was a sweetness to the notion of “going back to school,” particularly for the place that had paid for my law-school education. I can think of no better place to work than at a university. The enthusiasm on a campus is stimulating. You cannot help but be enriched when you are surrounded by people whose business it is to be curious. At the University of Miami, I work with bright people who have an idealized sense of purpose. That’s a luxury for most lawyers, and it makes my job one of the most satisfying around. I felt I had to work twice as hard to be at the table. 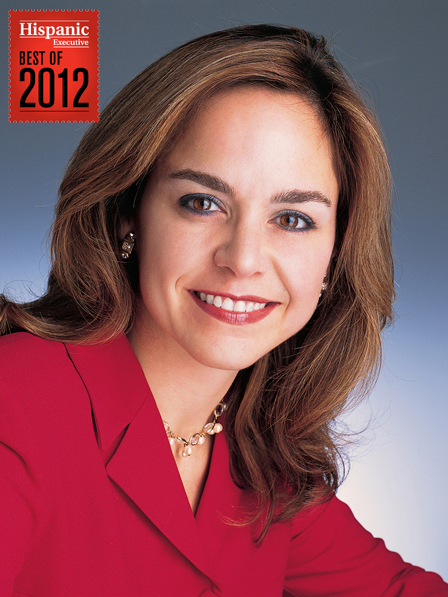 I am the first woman general counsel and the first Hispanic general counsel at University of Miami. That’s exciting but, also, sobering. I always assumed I was too young to be the first anything. Just goes to show you that as far as we’ve come, it hasn’t been as far or as fast as it ought to be. It is a gift to work for people who are generous with themselves and their power. I work for some extraordinary people, not the least of whom is the university’s president Donna Shalala, who served eight years as secretary of Health and Human Services in the Clinton Administration. She is comfortable with power, and she always sees the big picture. Inevitably, she is the smartest, shrewdest, bravest person in the room. Having a role model who is larger than life is very grand. It makes you believe you can do anything. Four months after I was named general counsel, I was diagnosed with breast cancer. It was stunning to me. I had never been sick. Here I was, with this fabulous new job, a dream come true, and then—cancer. The following few months consisted of surgeries followed by chemotherapy, etc. The treatment is very cruel. But, here’s the happy part, the folks around me didn’t let me feel sick. Instead of flowers, Donna sent me a car and a driver so I could work throughout my treatment. I timed the chemo sessions so that the worst days would be on the weekends with chemo; you know the days you’ll be walking and the days you’ll be on the floor. Donna saved my life in a way. Her courage was contagious. She treated me like I was fine, and I believe that helped me get well. Surviving cancer brings some unexpected gifts. You don’t take anything for granted and you don’t sweat the small stuff. Surviving also gives you a tremendous sense of empowerment. After cancer, not a whole lot scares you. With the resulting perspective and strength, it’s like being in a state of grace.